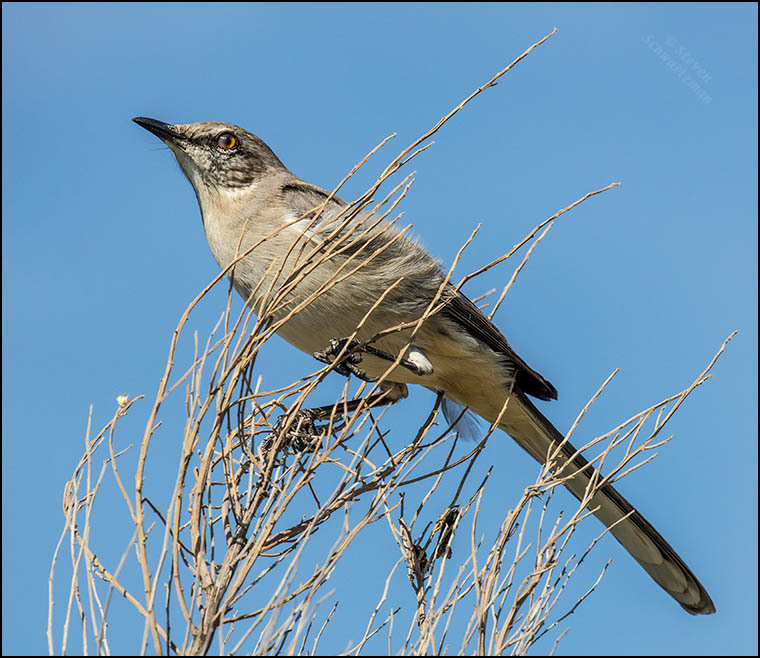 Even at 400mm I had to crop the resulting picture quite a bit to close in on this northern mockingbird, Mimus polyglottos, that I spotted atop a bare poverty weed bush, Baccharis neglecta, in Cedar Park on December 1, 2017. If you’re interested in the craft of photography, points 3 and 18 in About My Techniques are relevant to today’s picture. Enter your email address to receive new posts by email (but do check back here occasionally to read comments and updates). The photographs and text on this site are the property of Steven Schwartzman. You may link to these articles but may not use the photographs or text without written permission.